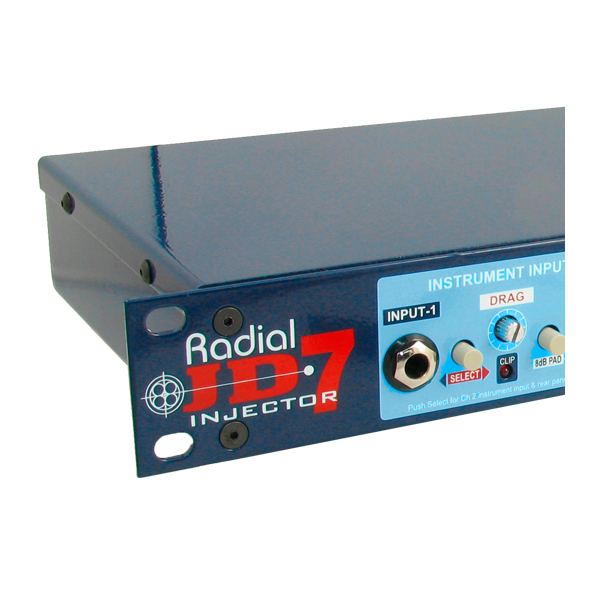 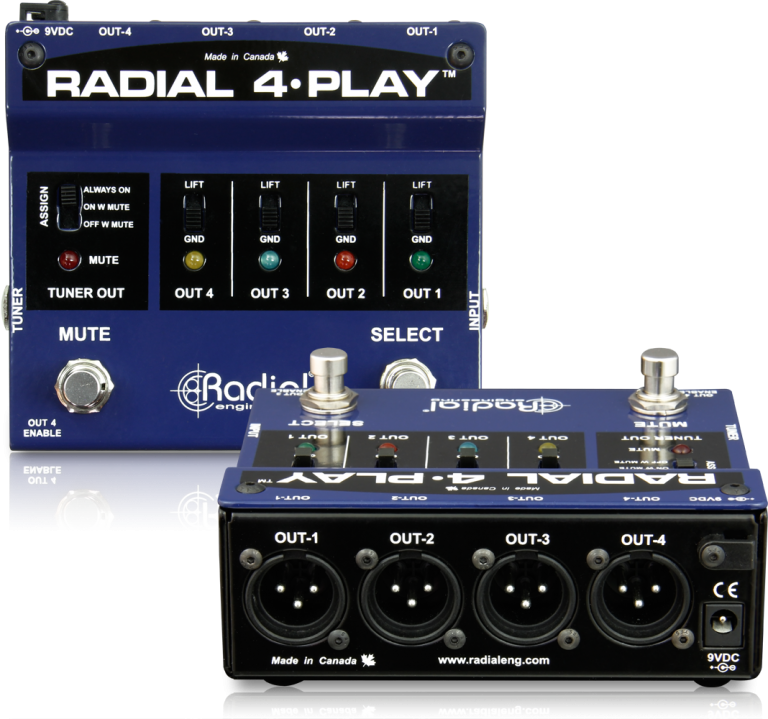 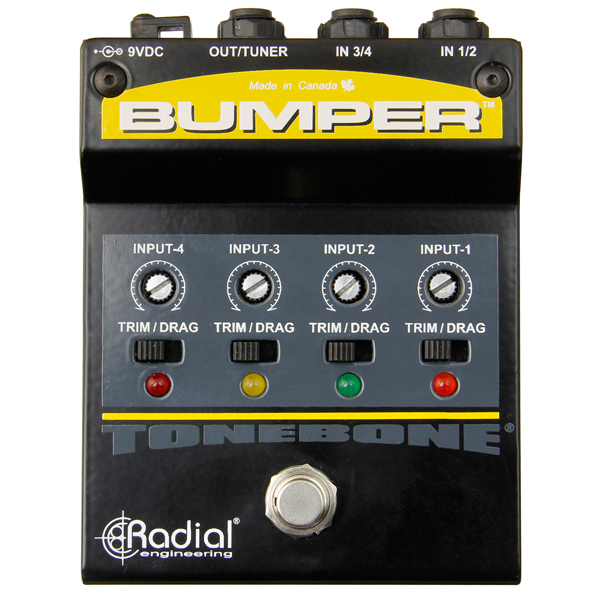 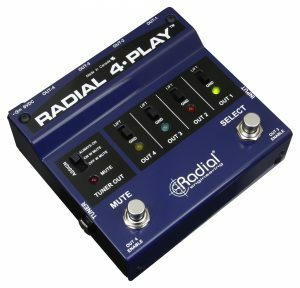 The 4-Play is a DI box specifically designed for multi-instrumentalists, providing the ability to quickly and silently change instruments on stage. 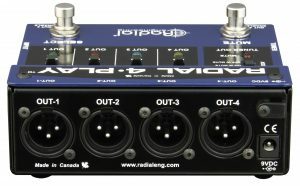 With four balanced outputs, each instrument has its own channel in the PA and monitors. 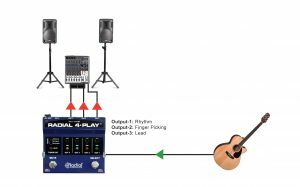 Many performing multi-instrumentalists will have each of their instruments feed a separate channel in the PA system, allowing for individual level, EQ, and effects settings. 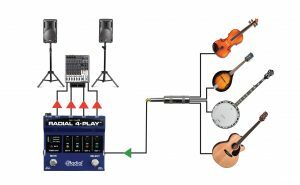 Typically this would require multiple DI boxes and instrument cables, creating a mess on stage that can be difficult to manage. With the 4-Play, you only need to connect one cable to the input of the pedal, and it provides you with four DI outputs to feed the PA system. Not only does this mean fewer cables on stage and less devices to keep track of, but it also eliminates the need to flag down the sound engineer when you need to switch instruments during a performance. 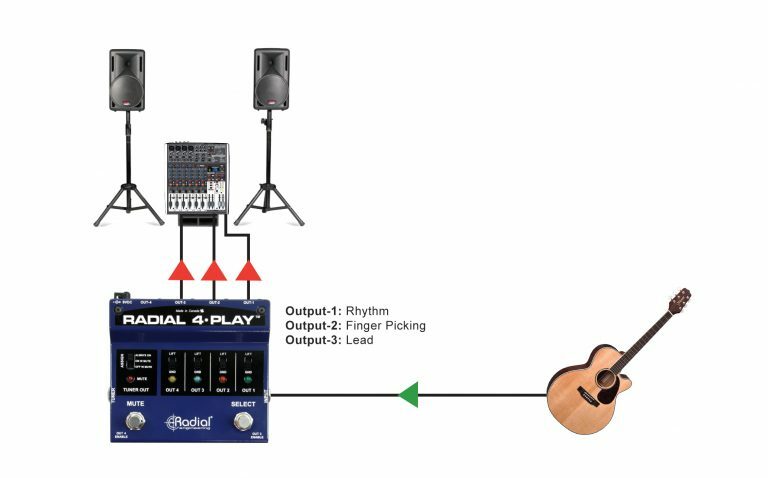 The 4-Play puts you in control, while streamlining your setup on stage. 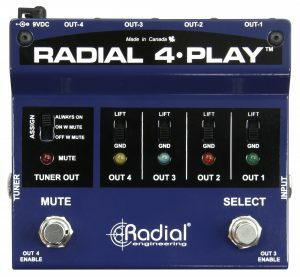 Switch between instruments by simply muting, disconnecting the instrument, reconnecting and unmuting. The 4-Play lets you drive each instrument to its own channel in the PA. Connect using a simple guitar cable or use your wireless system! 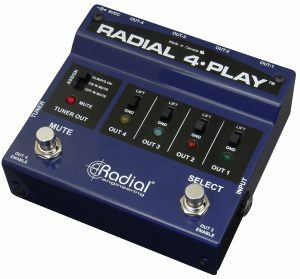 No amp, three basses – The 4-Play makes it easy! 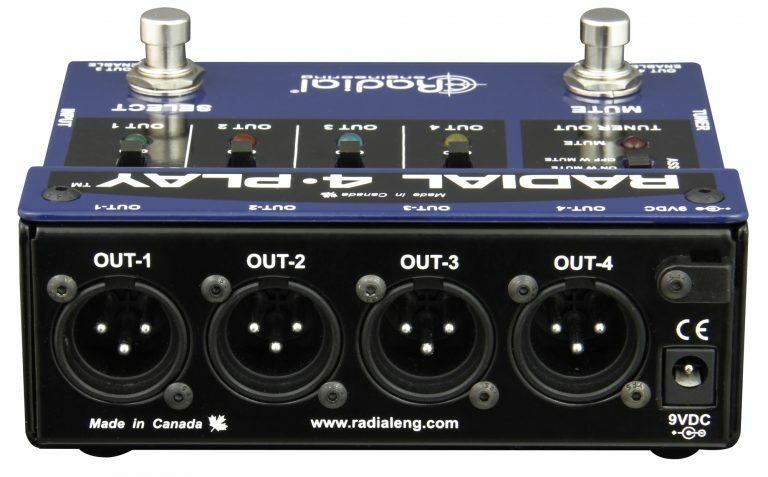 Connect the desired bass, use the selector switch to send the output to the desired channel in the PA system. 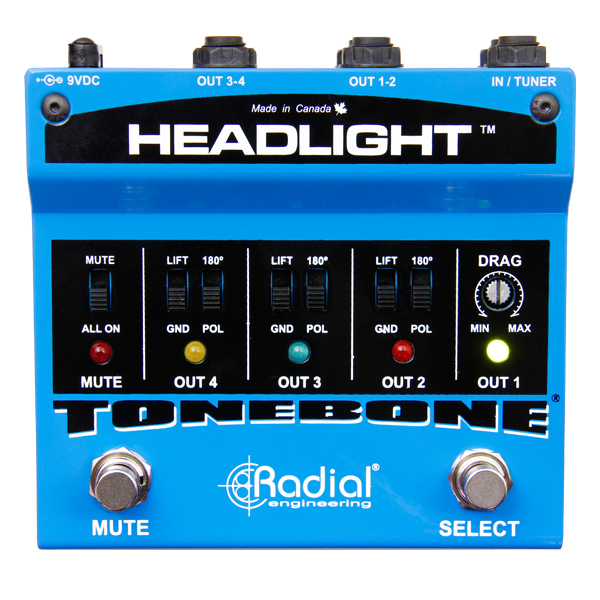 This lets you optimize the signal without having to adjust the tone or level during each changeover. 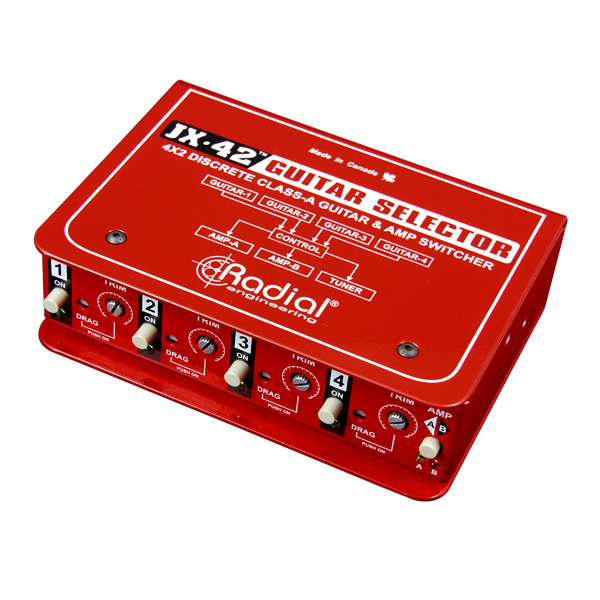 Connect your acoustic guitar using channel-1 for rhythm, channel-2 for finger picking and channel-3 for lead. 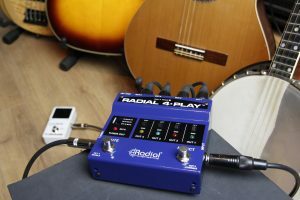 This gives you the power of an electric guitar through the PA system. 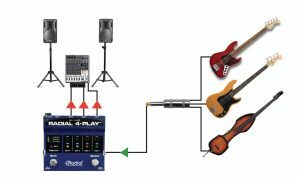 "As an active DI, it sounds great with passive instruments... 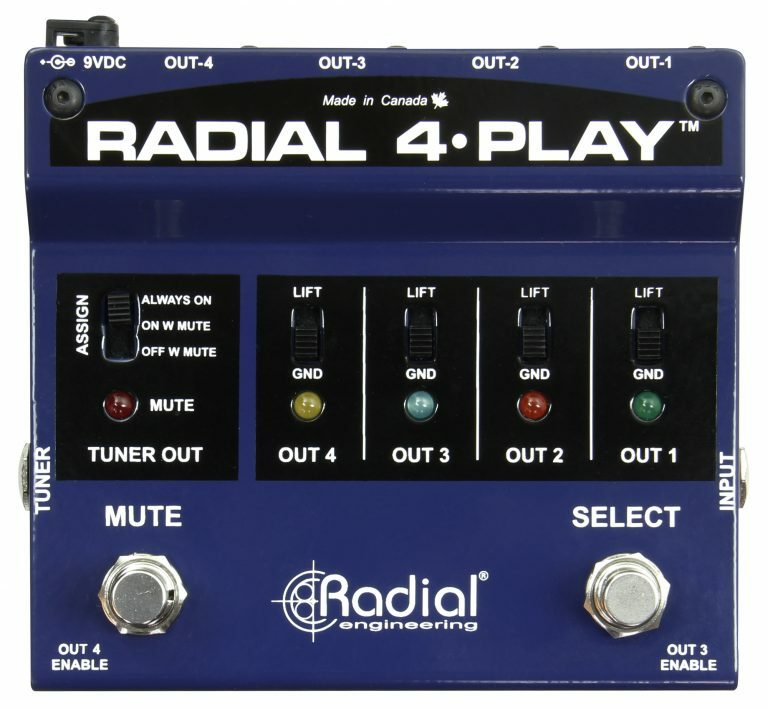 Using it couldn't be easier - just stomp the Mute switch, unplug your previous instrument, plug in the new one, stomp the Select switch to cycle the active output to the one you want, and unmute. Problem solved!"